Dr. Oz names America’s Biggest Health Threat … and it’s not what you think! AlgaeCal » Dr. Oz names America’s Biggest Health Threat … and it’s not what you think! You would think cancer or heart disease are the leading killers but not according to America’s favorite celebrity doctor. In some ways America’s biggest threat is even more sinister. It’s called the “silent killer” and it may be quietly at work right now in your family. Watch as Dr. Oz reveals what this major health issue is, and how to solve it. Did your mother, aunts or sisters suffer from frailty due to osteoporosis? If they did then you are at increased odds yourself. 1 in every 2 women over age 50 will suffer a broken bone from this disease. And if it happens to be a hip bone that is broken, the consequences may be months in the hospital along with a 20% chance of dying there. For others, multiple spine fractures occur resulting in pain and shortening height – not to mention that you spend the rest of your days worrying about fractures and doing less and less of the activities you love. 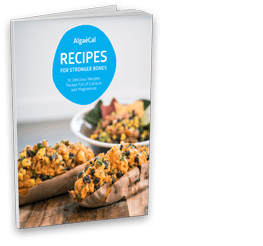 The good news is prevention and reversal of low bone density can occur safely and naturally with AlgaeCal marine algae, according to Dr. Oz. To learn more about AlgaeCal click here.